Apple Music, like other streaming platforms, offers a family subscription that can save families some money — depending on the circumstances, of course. An Apple Music family subscription lets you and five other family members get access to the streaming platform for $15 a month. Each family member will have their own personal account, and the family plan offers other benefits, too. 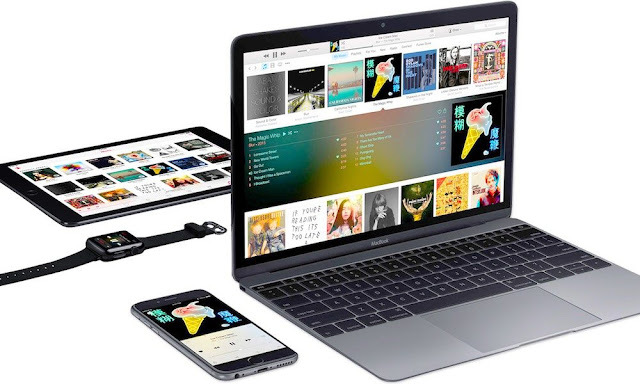 According to Apple, you can “share what you want, when you want — or not at all.” When it comes to Apple Music, specifically, that includes iTunes purchases..
Of course, having an Apple Music family account might not be right for every family. Depending on your circumstances, you could get a better price using individual accounts. Particularly if you’re both students and qualify for education pricing (which is only $4.99 a month). Still, an Apple Music subscription for up to six people at $15 is a great price. So look at your own circumstances and weigh your options. Note: You’ll need an Apple ID to set this up, but if you have an Apple device, you probably already do. You’ll also need at least one iPhone, iPad, iPod touch or macOS device running iOS 8 or OS X Yosemite or later. Of course, you’ll also need to purchase an Apple Music Family plan. If you don’t have an Apple Music account, you can sign up for one here. Just be sure to choose the Family subscription when setting it up. If you do have an account and you’re currently on a device you’re signed into now, just click this link for iOS or this link for macOS. Alternatively, follow the steps below. Tap the Profile icon in the upper-right corner. Find and tap on View Account. (Alternatively, tap View Apple ID). Scroll down to Subscriptions and tap on it. Tap Family (1 Month) and confirm it. Open iTunes and sign-in with your Apple ID. Click on Account > View My Account from the top menu bar. Authenticate and click View Account. In Account Information, scroll down to Settings. Choose Family (1 Month) and confirm it. An Apple Music Family subscription isn’t a standalone product. It’s tied into the Apple’s Family Sharing platform. Because of that, to invite family members to your plan, you’ll need to set up Family Sharing. This article will assume that you want to be what Apple calls the “family organizer” who sets the platform up and manages it. If you don’t, get someone else in your family to follow these steps. Tap the Apple ID card (it should say your name). Tap Set Up Family Sharing. Tap Get Started and follow the instructions. Click on the Apple logo in the upper-left of the menu bar. Click on Set Up Family and follow the instructions. Once you’ve signed up for an Apple Music family subscription and have set up Family Sharing, you can begin inviting family members. Here’s how. Tap the Apple ID card (your name). Enter their name or email address. Find and click on Manage Family. Click the + icon and follow the instructions. Tap the menu icon in the upper-left corner. Tap on Account settings (it should be your photo or name). Tap on Family or Family Setup, depending on which option is available. If you tapped on Family, follow the instructions. If you tapped on Family Setup, tap on Add Family Member and follow the instructions. Once you go through the above steps, the only thing left to do is have your family member start using Apple Music. On their device (logged into their iCloud and Apple ID), just open Apple Music and sign-in with the same credentials you sent an invite to. First off, if someone in your family is currently using a free trial to Apple Music, then they won’t be able to be added to a family plan. You’ll have to wait for the trial period to expire. Of course, another common problem is that a family member might be using an Apple ID that’s different than the one you invited. Double-check on this before contacting Apple Support. If you continue to hit issues, then try logging out and back in. Alternatively, remove that family member from Family Sharing and then re-invite them.